Our capacious warehouse is installed with all required amenities essential for safe storage of the products. Furthermore, our warehousing system is efficiently managed by our team of experts. For maximum customer satisfaction, we ensure that the product reaches the customer in the said time slot, owing to our reliable shipping facilities. 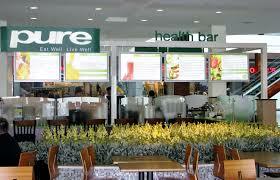 We offer host of products which can be used as raw materials for HEALTH CAFE which is in demand now such as. Breakfast Cereals, Organic Oats/ Dalia, Organic Upma/ Rava/ Dosa Mix . Quick Meals Like Organic Pasta/ Spagetti/penne / Macroni/fussili. Healthy Soups - 10 Flavours. Healthy Instant Drinks Like Mango/ Pineapple And Others. Instant Milk Shakes & Smoothies - 100 % Natural And Haccp Certified. Super Seeds Like Chia/ Quinoa/ Pumpkin/ Musk Melon/ Poppy And Over 30 Varieties. Organic Millet Based Snacks Like Cookies Of 12 Different Flavors. Organic Milk/ Cheese/ Yogurt/ Curds/ Paneer & Khoya. Organic Vegetable & Fruits - Only In Bangalore . Organic Juices - 25 Flavors Like Amla/ Aloevera/ Tulsi/ Noni , Etc. 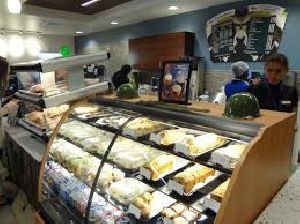 Organic Eggs & Chicken/ Fish. Special Imported Dry Fruits Like All Berries, Brazilian Nuts/ Macdemia Nuts Etc. All Dry Fruits Like Cashews, Almonds, Raisins, Etc At Whole Sale Prices. Special Teas Like Green/ Black/ White , Special Flavor Teas. Green Coffee And Other Special Coffee. Detox Juices Made Out Of Spray Dried Powders Instantly. 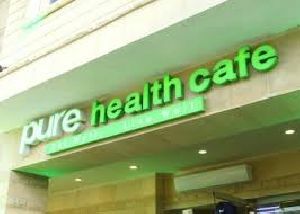 We have the complete business model ready and can help you start the wellness cafe and supply all ingredients required on regular basis.